Even after a week, that nagging cough won’t go away. “Maybe you should see the doctor,” your spouse suggests. The doctor? For a cough? And some sniffling? And an achy throat? Alright, it’s time to call the doctor. You call …and get a busy signal …again and again. Finally the phone rings and it’s answered …by a machine. When they do call back, there is no opening for five days. The healthcare landscape is changing and it is affecting all of us. Every day, 10,000 people turn 65, further increasing the demands on an already stretched system. Plus, fewer doctors are entering internal medicine. This unfortunately results in longer times in waiting rooms and less time with the doctor. This is why I created Prevention First Healthcare. Because patients deserve more—more time with their doctors, more research into their specific medical needs and more knowledge on how to live a healthier life. Our mission is not only to get you well, but to keep you well. We do this in many different ways, most importantly providing immediate access to a doctor 24 hours a day. All of my patients receive a special phone number which is answered by a live receptionist during office hours, plus my personal cell phone number for emergencies after hours. And it is our goal to make sure you are seen within one day of your call, if not sooner. 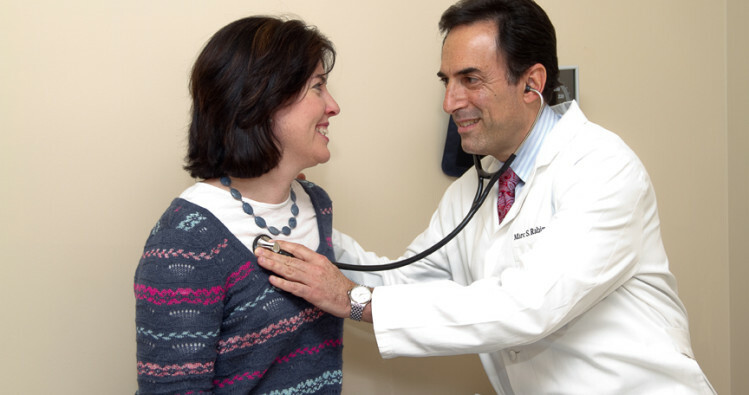 Every patient receives a comprehensive 90-minute physical evaluating every aspect of health and well-being. Through screenings, counseling and testing, we develop a proactive health and wellness plan. By exploring family histories, medical conditions and lifestyle choices, we map out your needs and provide specific remedies such as weight loss and nutritional counseling, exercise programs, smoking cessation and other tools, all tailored to you. All subsequent appointments with me last 30 minutes or longer, ensuring you are receiving the best possible treatment and all of your questions are answered. Need testing or an appointment with a specialist? Not a problem. Before you leave the office, a member of our staff will schedule your appointment for you, dramatically reducing your wait time and any possible delay in diagnosis. And in cases where an illness is diagnosed and action is needed, Prevention First strives to be there every step of the way, coordinating everything from house calls to hospitalization if necessary. Best of all, I am ready to see you as soon as you arrive. We certainly realize your time is just as valuable as ours so we strive to make sure we always stay on schedule. For less than $4 a day, which may be tax deductible or reimbursable through a Flexible Spending Account or Health Savings Account, you can make an invaluable investment in a healthy future. With many studies indicating that personalized concierge medicine reduces hospitalization and costs of medication, joining Prevention First could actually save you significant money. Isn’t it time you make yourself a priority? I invite you to join the hundreds of people who have added years to their lives and life to their years by putting PREVENTION FIRST. To schedule a complimentary consultation, call 215.PREVENT(215.773.8368) or visit www.215prevent.com.